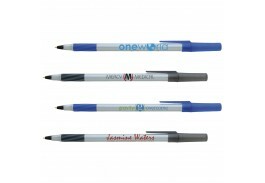 There's no better way to brand your business on a promotional pen than with one of the most popular brand of pens in the world: BIC. 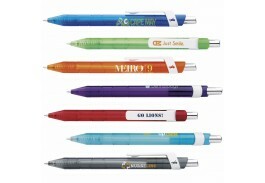 The BIC brand is known all over the world for quality and reliability. 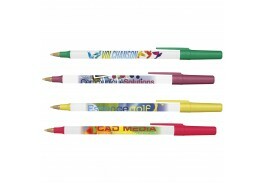 Attach your company or group name to a BIC custom pen with the Promotional Pen Store and you'll not only widen your brand's reach and appeal, but your customers, colleagues and friends will associate you with one of the most trusted names in the industry. 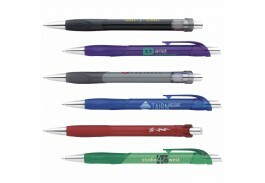 A cheap promotional pen that doesn't work properly and last a long time is worse than no pen at all. 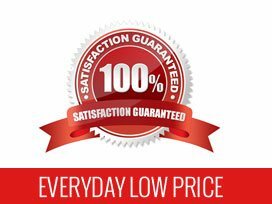 It's like breaking a promise to a potential customer. 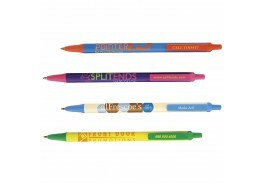 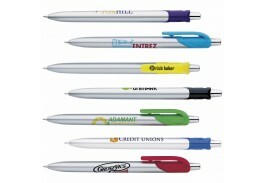 Choosing BIC means your promotional pen won't end up in your customer's trash bin. 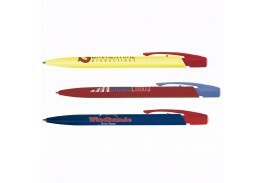 There's a BIC pen for everyone at the Promotional Pen Store, which carries nearly 100 models. 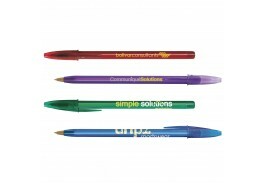 Simple cap pens are a classic, of course, as are the famous "click" pens and twistable BICs, ball pens and a variety of other retractable models that come in an enormous variety of ink colors and dynamic styles. 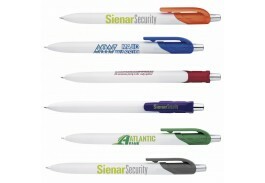 Once you add your logo or unique message to these already impressive pens you'll establish your business' individuality and strength in one fluid stroke. 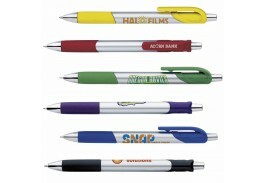 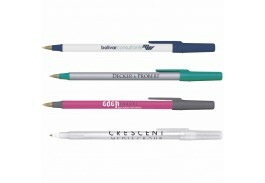 BIC is the smart choice for personalized promotional pens because they are inexpensive to purchase but never look cheap. 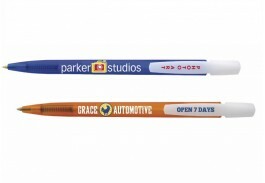 Unlike a billboard or print ad, a promotional BIC pen customized for your business will carry your brand far and wide as your customers and colleagues share and carry them in their travels. 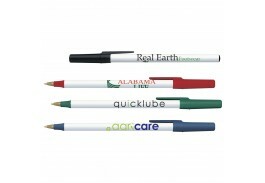 As such, the custom BIC pens from the Promotional Pen Store are ideal for handing out at trade shows, job fairs or conventions. 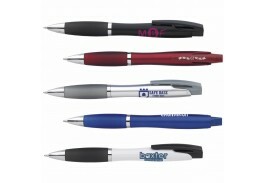 Leave a stack of them near your register for customers, hand them out to friends and family as little gifts, and make sure to keep them in the car because you never know when you'll meet a new client. 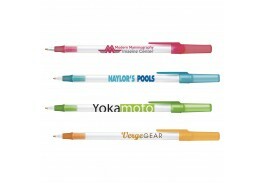 When you do, the Promotional Pen Store and BIC will be ready.